I think that a time-lost aspect of gaming has been the cartridge. It was the medium which felt most "material". They were great to collect, had colourful artwork on them, were sturdy, and didn't scratch! Even better, they had no loading times! On this note, I find it interesting how the younger gamers who grew up with disc-based consoles simply accept the loading times, whereas to me they're extremely annoying. 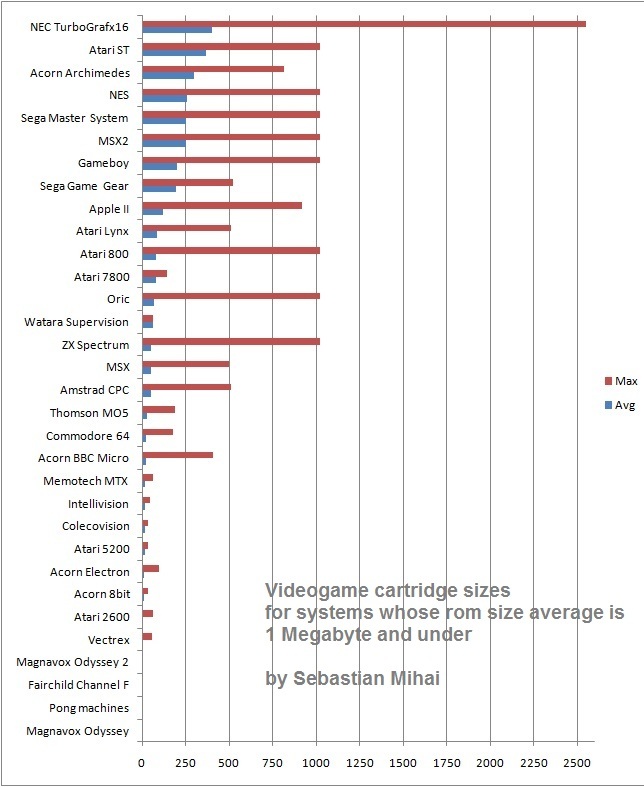 I present the cartridge sizes for the more widely-known systems in North America, followed by a comprehensive graph of cartridge/floppy disk/tape sizes for many consumer videogame consoles and home computers. 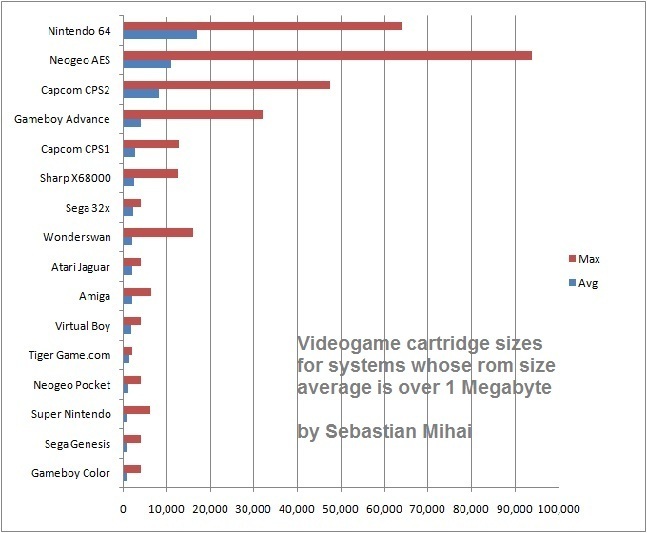 It's a bit funny how the sizes of games on cartridges were almost exclusively expressed in megabits, rather than the more familiar megabytes. My theory on this is that at some point in time, someone thought that including the "meg count", or how large the game inside the cartridge was, would be a good idea from a marketing perspective. They used megabits instead of megabytes because the figure would be eight times larger. Now, the competition had to do the same, or risk having their games perceived as more rudimentary if they used the smaller figures megabytes instead of megabits. However, I will use measurements in kilobytes throughout this article, as they are much easier to grasp. Remember that 1 megabyte is approximately 1,000 kilobytes. The categories are average cartridge size, and maximum cartridge size. The consoles of the first generation often used circuits instead of ICs (chips). Sometimes the cartridge itself would be a circuit, containing the "CPU" itself. 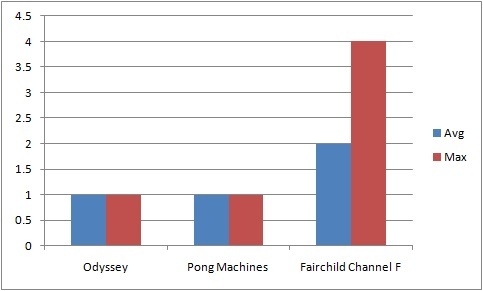 Of note here is that I consider Fairchild Channel F to be first generation, despite the generally-agreed convention that it belongs to the second generation. In my defence, however, many also agree that the line between the first and second generation is blurred. Not much to say about this generation... It was a time when any graphics was good graphics; people were entertained by moving bright squares on the screen. This is when companies realized there's good money to be made on games. The great momentum of producing and releasing games in the absence of proper quality assurance controls caused the video game crash at the end of this generation. Games were improved technically, with more colours, and more detailed graphics. 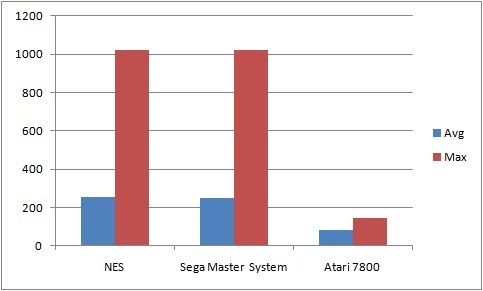 With the coming of the NES, Atari will no longer be considered the leader in the games industry. Games from this generation ran on smarter hardware with features such as sprite support, which allowed for the programmers to create much easier to control games. A good example is the Super Mario Brothers series on the NES, and Alex Kidd on the Master System. With this generation, the production quality of games increased by means of graphics, but more importantly sound. Composers were hired to create masterpieces that resonated with the players. A great example of this is the original soundtrack of Chrono Trigger on the SNES. 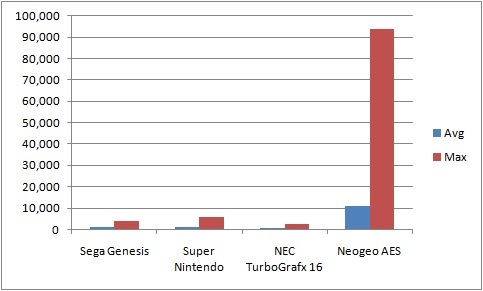 This is when the Neogeo AES was released, whose cartridge sizes remain unsurpassed. Its late games had record meg counts, not to be beaten by anyone else. 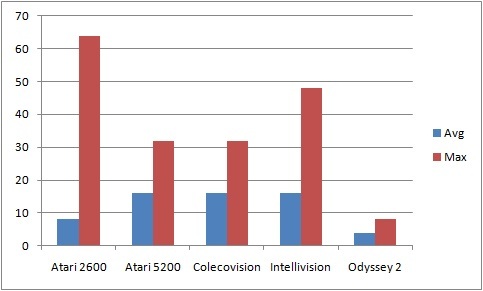 Most manufacturers switched to compact discs as media for their videogame consoles. 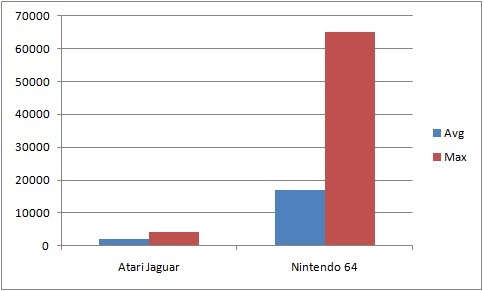 The cartridge newcomers of this generation were the failed Jaguar, and the successful N64. Games of this generation were rudimentary 3D.